The minimalistic design is striking. The stainless steel cover and smooth touch screen are modern, hygienic and ef cient. The iQ combines proven technology with a state-of-the-art look. 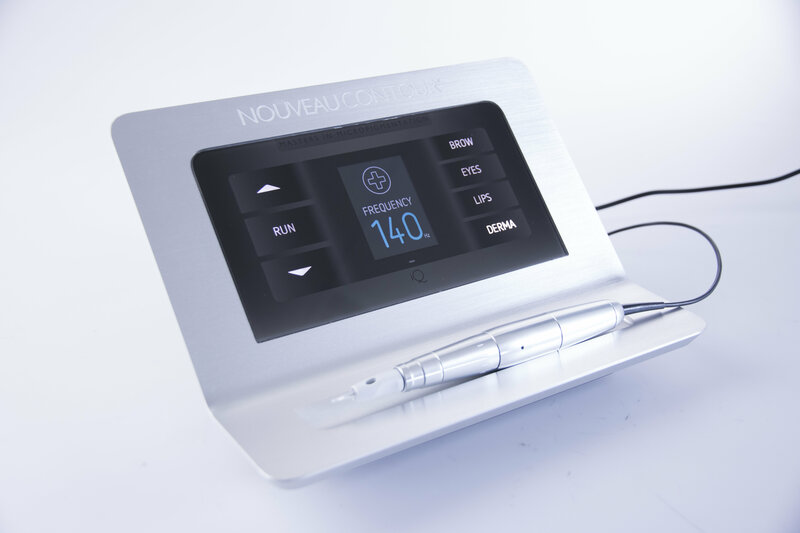 and automatically adjusts the needle frequency and needle pressure for optimal and even pigmentation. The right balance ensures the best results and precise pigmentation.